Real Escapes Properties is pleased to offer the spacious quality town home with a private elevator and a 2 car garage. 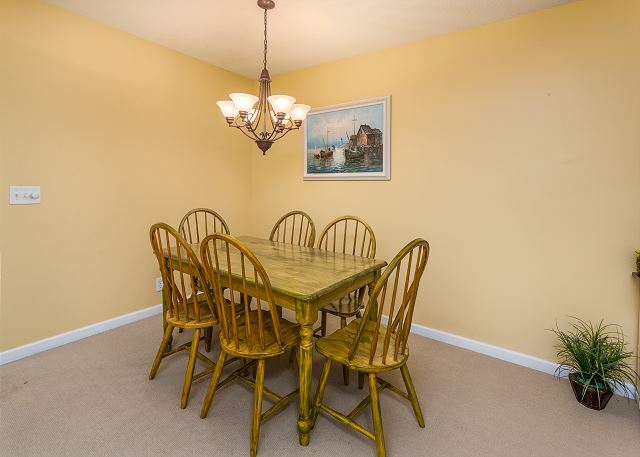 Condo features Wireless internet, and a large flat screen in the living room. There is also a Community pool. The home is conveniently located in a great south island location near the village, beach, shopping, and restaurants. The Demere Landing surrounds you with a peaceful and relaxing environment. Small dogs accepted. Occupancy 7. $145 clean fee. 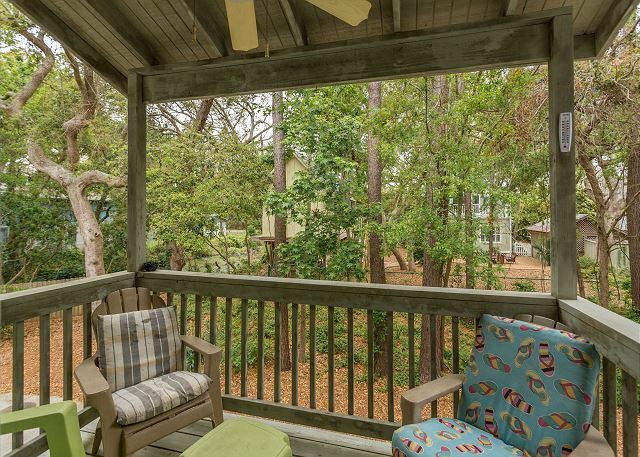 We chose this rental because of the proximity to the historic village and the beach and the nicely landscaped setting. The unit itself was adequate for our short term needs. All walls and woodwork need a good wash and repainting. Carpeting is stained, worn and frayed. Bedspreads in two of the three bedrooms are worn and stained. Appreciated the quick response of the rental agency to address questions and provide a ladder for high shelving in kitchen, provide a broom,dustpan and Swifter. While here, we replaced 2 cold air furnace filters,and a broken belt in the Rainbow vacuum's power nozzle. Great winter vacation break. Nice development, good location. Nice, clean condo. Furnishings were a little spartan. The garage door opener did not work properly. I was unable to utilize the garage as I had hoped because of the issue with the opener. The appartment was very nice, the location was great lots of things to do close only a couple of minutes from the beach or shopping, would recommend to anyone.only issue I had was we took two vehicles and there is a garage but only big enough for one vehicle, and the lot was packed so bad people were lining the road in, but it was a minor inconvenience compared to the whole stay. Set back condo complex. Very pretty and well maintained area. Ponds complete with turtles, fish, ducks and welcoming birds. The pool and grounds are lovely. The uit was sacious, comfortable abd the beds were great. We all slept well. The home was perfectly sized, clean, and located for the extended holiday weekend. Unloading packages and luggage into an elevator that carried everything to the third floor was AMAZING!! We will look to stay again when visiting St Simon's Island. Nice property. Everything that I expected. Demere Road is a busy street. 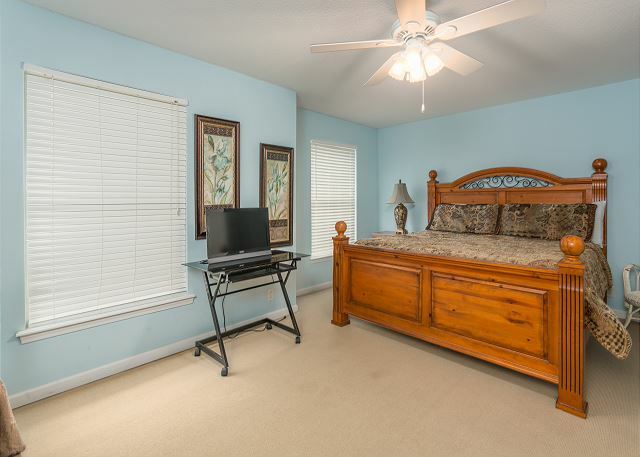 The property is just a little far from the Village and the beach for a pleasant walk. The walk can be done, but it's not easy. The master bathroom was moldy when I got there. I hired a cleaning service to clean the house. Good quality property. The stove burners run too hot. The master bathroom needed a good cleaning. There was quite a bit of mold to scrub away. 1. All 3 beds in the house need a new mattress. Every couple complained about how uncomfortable their beds were. 2. There is only 1 small TV in the whole condo and it's downstairs in the den very far from the couch. 3. The elevator does not work. My fiance is having terrible back trouble and could have used this as the stairs were very hard for him to go up and down. 4.There is only 1 couch and 1 chair in a condo that sleeps 6-7. 5. The master bathroom shower drain is stopped up and needs drain-o. Don't try to shave your legs in there b/c there is nothing to prop your foot on. 6. There were 3 couples in our condo so 2 were able to park in the garage and 1 had to park in the parking lot where there was not enough parking. I had to park on the curb and hope no one would hit my car and leave like they did a truck a few doors down. The carpet needs to be cleaned and/or replaced. I would recommend hard woods if they are going to allow pets. Great place and great location. 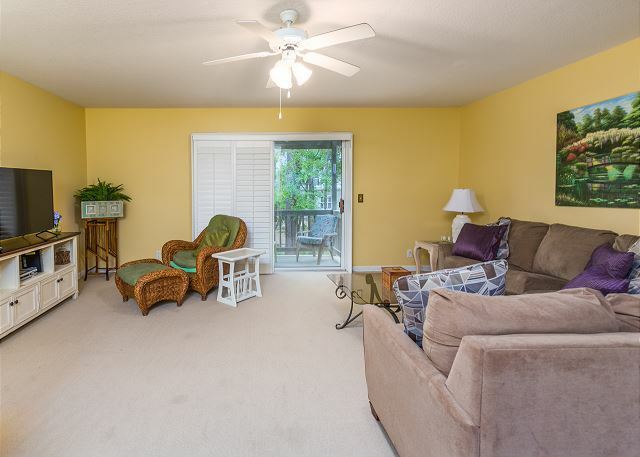 The condo could use additional amenities such as a hair dryer, alarm clocks in the bedrooms, larger television in living room, televisions in the bedrooms, more comfortable furniture in the living room, general cleaning supplies (glass, bathroom, multi purpose spray cleaners), additional trash bags, etc. The unit could also use a carpet cleaning. Near the village and fairly quiet.